Since I began blogging at Common Sense Family Doctor in July 2009, its posts have been featured in widely read blogs such as KevinMD.com, Better Health, and Gary Schwitzer's HealthNewsReview, as well as the websites of major national newspapers such as the New York Times, the Wall Street Journal, and the Boston Globe. I have also written the consumer health blog Healthcare Headaches for U.S. News and World Report since August 2010. Like the vast majority of physicians who blog, I write in my spare time. I have never accepted advertising or paid web links on Common Sense Family Doctor, and the choices of topics for posts are my own and not influenced by financial or other conflicts of interest. In order to support the time I devote to blogging, and to encourage high-quality medical writing and clinical practice, I give lectures and workshops to medical and non-medical audiences on a variety of topics. These include the uses of social media tools in medicine and education, developing and implementing medical guidelines, and the evidence supporting specific prevention recommendations. If you or your organization would like to invite me to speak about any of these topics, please e-mail me at linkenny@hotmail.com or KWL4@georgetown.edu. For Geeks and Geezers: With Social Media Skills You Can Change the World: Blogs, YouTube, Facebook, Twitter, BlogTalk Radio – and the list goes on! Recently, I had a conversation with Shannon Brownlee (the widely respected science journalist and acting director of the Health Policy Program at the New America Foundation) about whether men should continue to have access to the PSA test for prostate cancer screening, despite the overwhelming evidence that it extends few, if any, lives and harms many more men than it benefits. She felt that if patients could be provided with truly unbiased information and appropriate decision aids, they should still be able to choose to have the test (and have it covered by medical insurance). Believing that one of the most important roles of doctors is to prevent patients from making bad decisions, I disagreed. After reading Your Medical Mind, the new book by Harvard oncologist and New Yorker columnist Jerome Groopman, I think he would probably side with Brownlee's point of view. 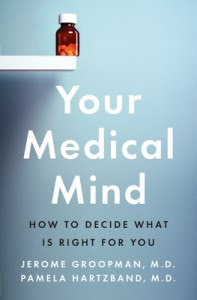 Groopman, whose authoring credits include the 2007 bestseller How Doctors Think, and wife Pamela Hartzband, MD have written a kind of sequel to that book that could have easily been titled How Patients Think. Drawing on interviews with dozens of patients about a wide variety of medical decisions - from starting a cholesterol-lowering drug, to having knee surgery, to accepting or refusing heroic end-of-life interventions - the authors explore many of the factors that influence people's health-related choices. The result is a compelling narrative that seamlessly blends "rational" factors such as interpreting medical statistics and decision analysis with personal factors such as past experience, emotional states, and personality styles. Some of the ground in the first few chapters ("Where Am I In the Numbers?" and "Believers and Doubters") has been well-covered in other recent books, notably, in H. Gilbert Welch's Overdiagnosed and Know Your Chances. 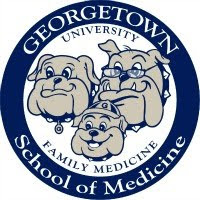 But Groopman and Hartzband go farther in challenging two notions that have strong advocates among current U.S. health reformers: 1) adherence to evidence-based guidelines is a panacea for improving care outcomes; and 2) preparing meticulous "advanced directives" will simplify and improve end-of-life decisions. The authors also observe that shared decision-making means just that: a shared decision by a doctor and patient on a level at which a patient feels comfortable, not the one-sided ritual of "obtaining consent" or complete abdication of responsibility by the doctor. "If medicine were an exact science, like mathematics," Groopman and Hartzman conclude, "there would be one answer for each problem. Your preferences about treatment would be irrelevant to what is 'right.' But medicine is an uncertain science. ... The path to maintaining or regaining health is not the same for everyone." Even to a physician who spent several years of my career working on prevention guidelines and remains an unabashed supporter of guideline-driven care, these words ring absolutely true. In practice, of course, patients make a lot of seemingly irrational decisions. A healthy 40 year-old male patient may, if he wants, request annual PSA tests and decline the HPV and influenza vaccines for his children. These are poor choices which some doctors would even take personally. As his doctor, and a believer in the mantra of shared decision-making, I would do my best to make sure that he understood the relevant statistics, and elicit any past experiences or personal beliefs that prevented him from considering my recommendations. But if he persisted, suggest Groopman and Hartzband, I would at some point need to stand aside and recognize the limits of persuasion and my comprehension of his motivations. It's a very hard thing to do. Which brings me to a last point: although Your Medical Mind was written for patients, doctors will find it worth reading, too - if only for the opportunity to get inside the heads of patients and find out what they were really thinking. The first time I ever used an electronic medical record was 12 years ago, during my neurology rotation in medical school. Students were responsible for writing daily progress notes on each hospitalized patient that updated his or her treatment plan and list of ailments. A helpful senior doctor let me in on a time-saver: cut and paste. I could insert sections of the previous day's progress note into the current day's note, which I could then modify to account for any changes that had occurred. He also unwittingly introduced a temptation: to document more than I had actually done. Perhaps I'd forgotten one day to urge a recovering stroke patient to stop smoking, for example, but had done so earlier in the week. Knowing that my final grade depended on covering all care guidelines, once or twice I might have cut-and-pasted, "Tobacco cessation counseling: Provided" into my notes when I technically hadn't, believing there was no harm done. Today, electronic medical records– a novelty a decade ago – are used in most hospitals and many doctors' offices. The federal government touts their potential for improving the quality of medical care, from ensuring that all patients get recommended screening tests to improving care of chronic health problems such as diabetes. But as I first observed as a medical student, electronic progress notes have an important downside that – contrary to what I thought then – can and does harm patients. In a recent study published in the Archives of Internal Medicine, researchers examined doctors' documentation of dietary and exercise counseling in the electronic medical charts of more than 5,000 patients with diabetes. Patients were divided into three groups: those in whom no counseling was documented; those whose progress notes appeared to have been cut-and-pasted from the previous visit; and those whose notes were distinct from notes made in previous visits. Only patients with "distinct" counseling language successfully lost weight and improved their diabetes control, while patients with cut-and-pasted language did no better than patients who received no counseling. That led authors to question whether their doctors were documenting imaginary conversations. Recent research confirms the huge impact that convincing people to change their lifestyles can have on lowering their future diabetes risk. A study of more than 200,000 adults published last week in the Annals of Internal Medicine found that the odds of developing diabetes over an 11-year time frame were 30 to 40 percent lower for older adults with one or more good habits: healthy eating, moderate alcohol consumption, and being smoke-free and physically active. For you to benefit personally from this research, though, you need to make sure that your doctor isn't just going through the motions of lifestyle counseling, electronic medical record or not. Given the myriad agenda-items doctors must squeeze into a 15-minute office visit, skipping counseling can be an easy way to cut corners and stay on schedule. Don't let it be. As the science clearly shows, there can be no better use of your visit than to discuss how to stay healthy and lower your risk of health problems down the road. This post was first published on my Healthcare Headaches blog at USNews.com. Flashback to summer of 2008. I'm looking forward to August 5--the day that I'll no longer be a faceless bureaucrat. The day that the US Preventive Services Task Force (USPSTF) will issue its new recommendations on screening for prostate cancer--recommendations I've labored on as a federal employee for the past year and a half. For much of 2007 I combed the medical literature for every study I could find on the benefits and harms of prostate cancer screening. In November of that year I presented my findings to the USPSTF, a widely respected, independent panel of primary care experts. They discussed and debated what the evidence showed and then voted unanimously to draft new recommendations. I didn't get to vote, but it has been my job in 2008 to shepherd the draft statement and literature review through an intensive vetting process and to finalize both. As August 5 approaches, my colleagues in public relations warn me that the last time the USPSTF said anything about prostate cancer screening, the phones started ringing off the hook. I'm not so secretly hoping that the same will happen this time. And I'm not disappointed! After we release the statement, my normally placid government agency buzzes with excitement. In addition to sparking front-page stories in major national newspapers, the story brings our PR office "hits" from television, internet and radio outlets all over the country. With the volume of requests far exceeding what the Task Force's press-liaison person can handle, I offer to pitch in. I give two newspaper interviews and debate a respected urologist on a live radio call-in show. My colleagues cheer me on. I forward the radio clip to my friends and family. The new recommendations surprise many people: They say that men age 75 and older should not be screened for prostate cancer. Because there's no convincing proof that the prostate-specific antigen (PSA) blood test--the one used to detect early prostate cancer--actually saves lives. Most abnormal PSA tests do not actually indicate cancer, and up to half of true prostate cancers detected with the test would never have caused health problems if they'd gone undetected. On the other hand, there's lots of evidence that the PSA test causes physical and psychological damage. Abnormal tests lead to prostate biopsies, operations and other treatments whose adverse effects range from anxiety to surgical complications to death. For younger men with decades of life remaining, these adverse effects may be worth the potential benefits; in men aged 75 and older, they almost certainly are not. I soon learn that cancer recommendations, like cancer screening tests, come with their own adverse effects. Comments pour into health blogs and the editorial pages of my favorite newspapers, accusing the Task Force, and me personally, of "ageism" and "taking the first step toward government-sponsored euthanasia." The systematic review I worked so hard on is trashed as a "shoddy meta-analysis" (although it's neither shoddy nor a meta-analysis), and many elderly men and their spouses lambaste us for being in league with heartless insurance companies. I realize that this report has hit a nerve--the one that distrusts the healthcare system and that lacks faith in government. Cancer inspires more fear and anxiety than many other diseases. People worry about being denied access to cancer care--even care that hurts more than it helps. I'm most wounded by one comment, which says that those responsible for developing the guideline can't possibly understand what it's like to have, or to care for someone with, prostate cancer. This one really pains me because I do understand. I remember only too well a 75-year-old patient--I'll call him Kendall--whom I met during my residency training in Lancaster, Pennsylvania, an area best known as Amish country. Kendall wasn't Amish, yet he hadn't seen a doctor in decades. Before I met Kendall, he'd been hospitalized with bone pain and a PSA of over 5000 (more than 4 is considered suspicious) and had been diagnosed with advanced, metastatic prostate cancer. Kendall responded dramatically to a course of hormone-deprivation therapy and returned home. As I learned over the course of our outpatient visits, he was a man of few words but big gestures. At the end of our time together, he'd stand and clasp my right hand tightly in both of his, saying, "See you in a few months, doc." Later, when the cancer and its awful pain returned, and Kendall became weaker, he was one of my favorite home-visit patients. The end came surprisingly quickly. A hospice nurse paged me with the news that Kendall was in the ER, disoriented and combative. I rushed over and tried to soothe him as we ran tests, hoping in vain to find something we could fix. Soon afterwards, he was transferred to an inpatient hospice. He died a few days later. Would PSA testing and earlier detection have spared or prolonged Kendall's life? Given the aggressiveness of his cancer, I doubt it, but it's hard to know for sure. And I admit that Kendall often came to mind as I was working on a recommendation to stop PSA testing at age 75. If he'd ever bothered to visit a doctor, maybe he would have been one of the few men helped by such testing, rather than one of the many harmed. I'll never know. My colleagues and I labored for months to present a thorough and accurate review that would help the USPSTF make sensible recommendations aimed at doing the most good and the least harm. We performed our work without considering healthcare costs or political fallout. I'd hoped that August 5 would free me from being labeled a faceless bureaucrat. Ironically, it ended up tarring me as a heartless one. Prostate cancer causes a lot of suffering--I know. In the face of that, it's tempting to try and detect it early, to "do something." But for now, unfortunately, our best science tells us that doing something to a man older than 75 is likely to do more harm than good. For Kendall's sake and for my own--for I hope to be 75 myself one day--I wish it weren't that way. I wish that on August 5, 2008, I'd had better news to share. And I wish that everyone had understood that. This piece was originally published in Pulse Magazine. I wrote it on my own time while employed at the Agency for Healthcare Research and Quality in the fall of 2008 and had hoped to submit it to the humanities feature of a major medical journal, such as JAMA's "A Piece of My Mind" or Annals of Internal Medicine's "On Being A Doctor." My superiors at the time declined to give me permission to do so. Guest Blog: Can patients differentiate quality care from amenities? One of the approaches some corporations are taking to hold down health care costs is to put more responsibility on their employees through high-deductible health insurance plans. It makes sense that they would try this. After all, this reflects the daily life of the business community as they compete for consumers of their goods and services. They make choices based on cost and features, so why shouldn’t their employees? When it comes to readily accessible items such as anti-inflammatory pain relievers, of course the consumer can make rational choices between trade-offs: brand name drug or generic, acetaminophen or ibuprofen. But what about big ticket items in health care? In an article in the New England Journal of Medicine late last year, the limits of consumer choice in holding down costs were addressed. The authors looked at the hospital market, for which $700 billion was spent in 2008 (I would estimate this is over $800 billion now). The authors pointed out that hospitals actually compete on amenities, not quality of care or bang for the buck. Marketing campaigns tout the room views, hotel-style room service for meals, and other offerings that have nothing to do with a sick patient recovering to the point she can go home. Consumers respond in surveys that these non-clinical features are more important than clinical reputation in choosing a hospital. Hospital administrators have learned that these added features cost more than quality improvement programs, but the improved amenities have a greater effect on hospital volume – i.e. bucks for the bottom line. And what tiny fraction of patients actually look up quality ratings for potential hospitals (and let’s not get into a discussion here of whether these rankings mean anything real)? As much as I assume that a nation of people given the freedom and choices to make decisions for themselves leads to the strongest and most stable country, big-ticket healthcare items are an exception. There is just too much complexity in the industry for an individual to shop around. For example, even for the lower cost services, if your family physician thought there was a fair chance your abdominal pain was caused by gallstones, do you really want to then shop around for sonogram facilities to image your belly and labs to analyze your blood? If you find out you have gallstones, do you really want to then compare prices and amenities of all the hospitals and surgi-centers in your area, then interview surgeons and see if they work at the facility you chose? This is just too much for most people to navigate. People should have choices, but it should be choices of plans or healthcare networks. However, if you want healthcare that is more affordable, one small step would be to forego hospitals with granite counter tops and mints on the pillows. On the morning of September 11, 2001, I was a family medicine intern making rounds at a teaching hospital in Pennsylvania. As I started writing a progress note on one of my patients, my senior resident emerged from the next room with tears streaming down her face. I couldn't imagine what had gone wrong. Had we just lost someone? Could I have possibly missed the distinctive overhead page for the Code Blue team? It was worse than that - much worse. "It's horrible," she managed to say. "Absolutely horrible. I feel so bad for their families." I stepped into the room and saw both televisions airing live footage of the wreckage of the twin towers of the World Trade Center, where not one, but two commercial airliners had just crashed. The rest of the day was a blur. It was nearly impossible to concentrate on the day-to-day routine of patient care when all I could think about were the thousands of lives claimed in the space of a few minutes. Later in the day I learned that a third plane had hit the Pentagon, and a fourth had crashed into a field about 150 miles west of my home. "This means war," one of my attendings stated flatly. I had recently graduated from medical school in New York City, and after going home from the hospital, I tried calling former classmates who had chosen residency programs there. But the phone lines were jammed all night. It wasn't until the next day that I heard from a friend about how an army of physicians and medical students had mobilized at NYU's Bellevue Hospital, waiting for a massive influx of injured patients who never came. In the decade that has passed since that awful day, I completed my residency, got married to a wonderful woman, began my career as a family physician, and had two beautiful children who are, thankfully, still too young to begin to comprehend what kinds of warped beliefs would possess people to deliberately fly airliners into buildings full of their fellow human beings. Eventually, I know I will have to explain to them the events of 9/11. And tell them, too, about the healing that time, faith, hope, and love can bring about after even the most grievous of wounds. To all the victims of 9/11, living and dead, may peace be with you, tomorrow and evermore. 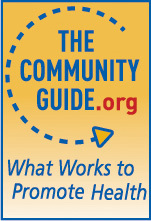 To ensure that its clinical review articles reflect current medical literature, the American Family Physician journal (of which I am an editor) requires prospective authors to consult several evidence-based resources that synthesize the best available evidence from clinical trials and other high-quality studies. 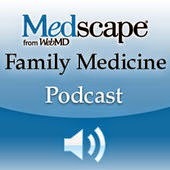 The goal of this process is to produce unbiased recommendations for primary care physicians. But what if the authors of clinical reviews are actually professional scientific writers paid by pharmaceutical companies, rather than the physicians whose names are listed as authors? Concerns about app quality prompted the U.S. Food and Drug Administration to propose in July that certain interactive medical apps be required to get agency approval before being distributed or sold, similar to how new drugs and devices are evaluated for effectiveness before being allowed on the market. Proponents of regulating medical apps argue that guidelines are needed to protect patients from apps that provide misleading or potentially harmful data. However, others worry that regulation may stifle the production of innovative apps—often developed by individual researchers on shoestring budgets—that could potentially be useful in patient care. Also, although the FDA doesn't intend to regulate apps that simply allow doctors to read digital versions of print publications, it isn't clear exactly how "interactive" an app needs to be to qualify for regulatory review.